Not anime related directly but something we've been a part of on our blog and site for a long time since this can not only affect your anime viewing, but all of the internet in general. Today, the FCC officially voted to protect #NetNeutrality by having ISPs and their services be classified under Title II utilities. There's still much to be done but now the ball is in our court for once when it comes to our internet and how important it is for everyone in our daily lives. Users of the internet, many whom popularized it with our anime, video games and yes even the memes.. now forced ISPs to end the Oligopoly of their internet services. This monopoly-like business practice has kept many people away from the internet speeds & pricing that reflect what it should be in 2015 based on current, available technology.. in favor of old hat business practices and good old greed. Not only that, but the ISPs (Comcast in particular) were getting close to closing the internet to only open it to the highest bidder with things such as "fast lanes" and other tolls that shouldn't exist in what should always stay open, low cost and free of Monopolies or Oligopolies. The internet is too important to be some BS, outdated, unavoidable cable/satellite/etc package deal. 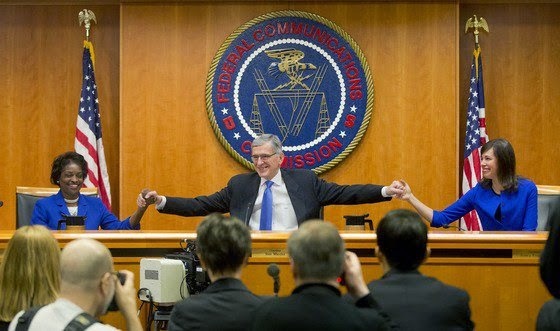 For once, after all of the pressure we gave the FCC from both inside and outside the US...they are actually listening to us instead of the corporate lobbyists who are paid to stifle the internet. Again, let's not put our guard down and there's still much to do, but not since the blocking of SOPA has the people of the internet been able to get our voices heard to prevent a terrible future.